This month I am participating in The Great Food Blogger Cookie Swap! I baked 3 dozen Santa Whisker Cookies and sent Three Bloggers one dozen each! When you donate to Cookies for Kids’ Cancer, you are helping fund critically needed childhood cancer research to find safer, more effective treatments for children fighting cancer. Since 2008, Good Cookies like YOU have helped fund dozens of pediatric cancer research grants, resulting in NINE promising new treatments moving to clinical trial, now available to children with cancer. Now let’s talk about the cookies! Santa’s Whiskers Cookies! 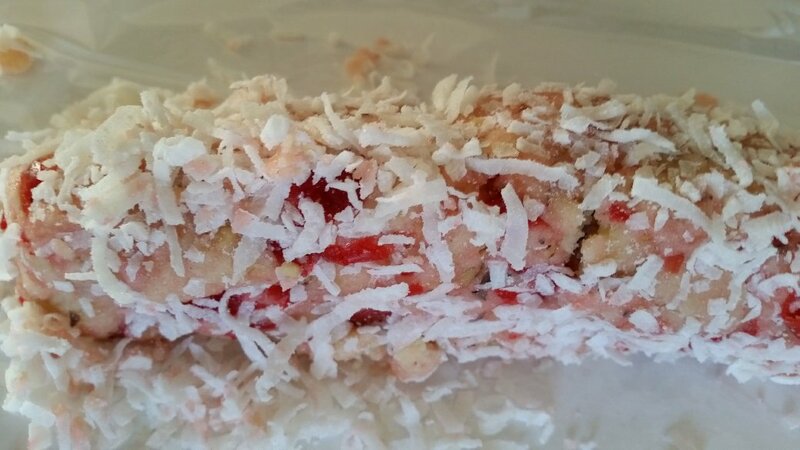 Yummy Shortbread filled with cherries wrapped in toasted coconut! Don’t they look like whiskers? So cute! Roll the cookie dough in coconut. Place in refrigerator. Cut into 1/4 inch thick, bake until golden brown around the edges, about 10 minutes. In a large mixing bowl, beat butter with an electric mixer or KitchenAid on medium to high speed for 30 seconds. Beat until combined, keep scraping sides of bowl. Beat in milk and vanilla until combined. Beat in flour on low, as long as you can. Stir in the remaining flour. Shape dough into two 8 inch long rolls. Wrap in plastic wrap and place in the refrigerator for 2-24 hours. Place 1 inch apart on to an ungreased cookie sheet. Bake at 375 degrees for 10 to 12 minutes, until the edges are golden brown. Thank you to our Brand Partner’s! The wonderful brand partners, each of whom matches our donation to COOKIES FOR KIDS’ CANCER, dollar for dollar (up to $3000)! 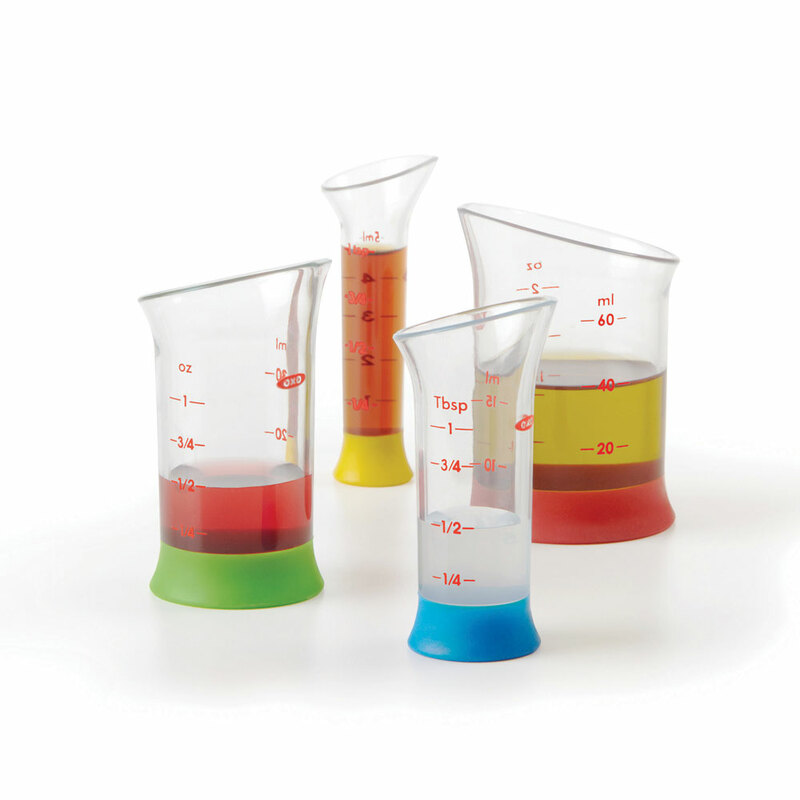 OXO sent me a Good Grips Mini Measuring Beaker Set which I think is wonderful! 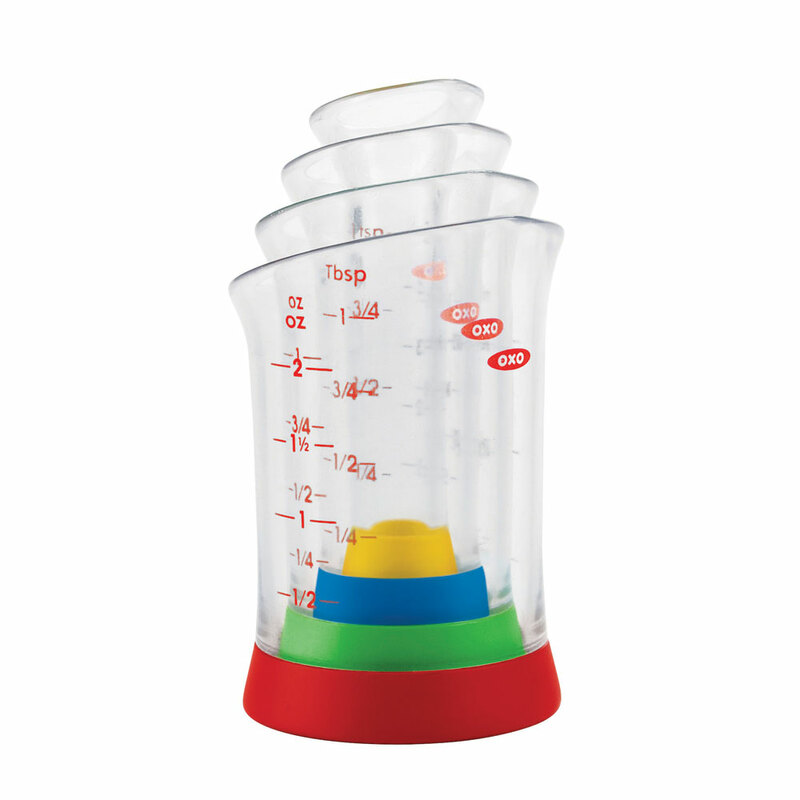 They remind me of the Sweet wooden Russian Dolls that are stackable. Here are the wonderful cookies that I received! Delicious Chocolate Dipped Coconut Shortbread from Greens and Chocolate. I don’t have a picture of the perfectly delectable Coconut Shortbread Cookies from 6 By 6 Klinger Cooking. My kids ate them before I could snap a picture! That means a lot! They were delicious! 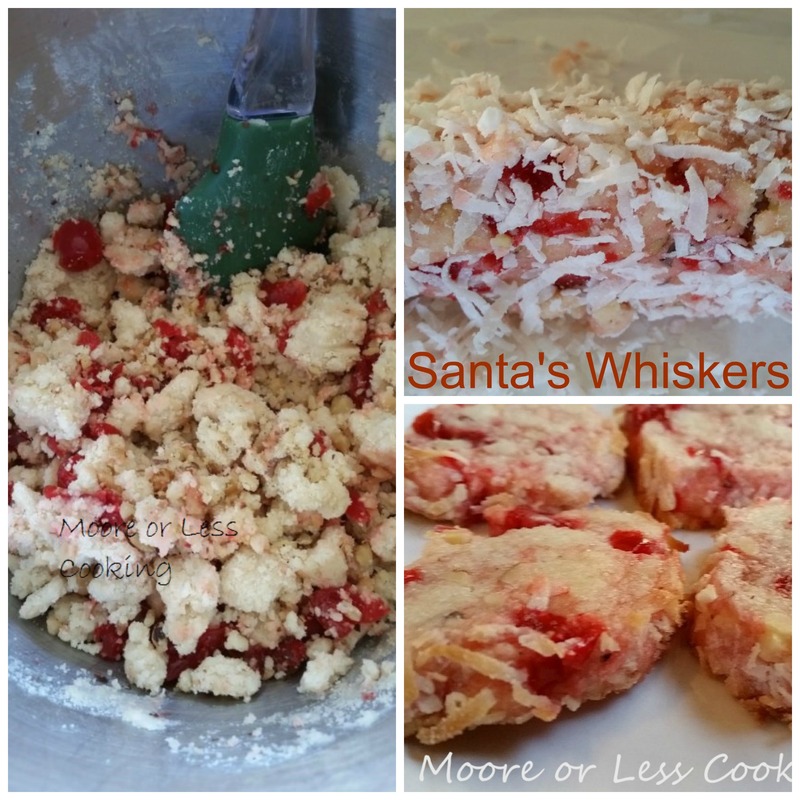 I love the recipe for these Santas Whisker Cookies! 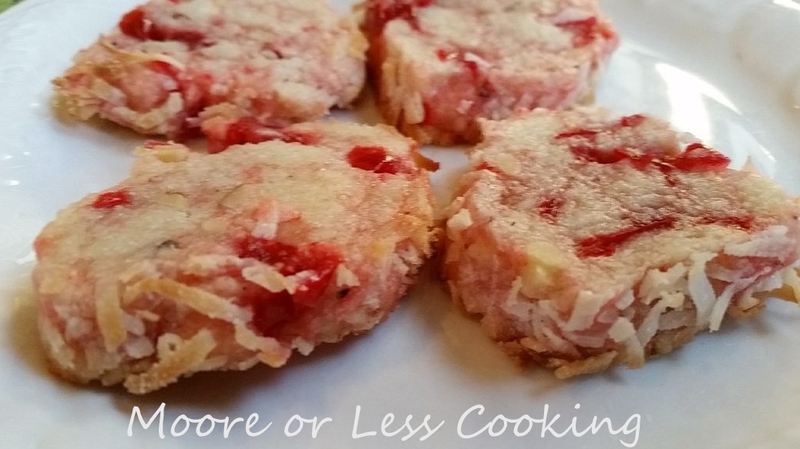 I love shortbread and the addition of cherries and the coconut…. YUM! Thanks for sharing and i will be trying your recipe for myself this weekend! Lots of yummy looking recipes to try. Thanks for sharing. I think my favorite would be the Santa’s Whisker’s Cookies. I love cherrie’s. Those sound so yummy! I love coconut. Pinned.